Anyone who tells you they know who's going to be the next U.S. Soccer is pulling your leg. All kinds of first-ballot projections are getting tossed around, and they are pure guesswork. Making heads or tails of the election might seem difficult -- who votes, how the votes are weighted -- but it is not that difficult if you understand the math. And if you understand the math, you can appreciate why the election is still Kathy Carter's to lose. How U.S. Soccer's presidential election will work | Who votes? Three key blocs control more than 60 percent of the vote. If Carter gets 80 percent of them, she's almost at 50 percent and will be pushed over the goal line by small pockets of support in the Youth and Adult Councils or from a few individual delegate. 1. Big Five (31 percent of vote). 2. The Athletes (20 percent). In the old days -- the contested elections in 1990, 1994 and 1998 -- athletes had no voice in the federation. That changed in 1998 with the passage of the Ted Stevens Act governing national governing bodies like U.S. Soccer. Twenty percent of the board of directors -- three of the 15 voting members of the currently constructed board -- and 20 percent of the membership must be athletes, by Federal law. The Athlete Council for the first time will have a say in a contested presidential election. They control 20 percent of the vote, whether one athlete shows up or all 20. How many will show up remains to be seen. Estimates have ranged from as low as 11 to as high as 18. If the athletes agree to vote as a bloc and follow through -- each delegate has his or her own keypad so the vote is secret -- and vote for Carter, she's assured of winning. Even a split of the 20 percent might get her close. 3. The MLS youth vote (11 percent). 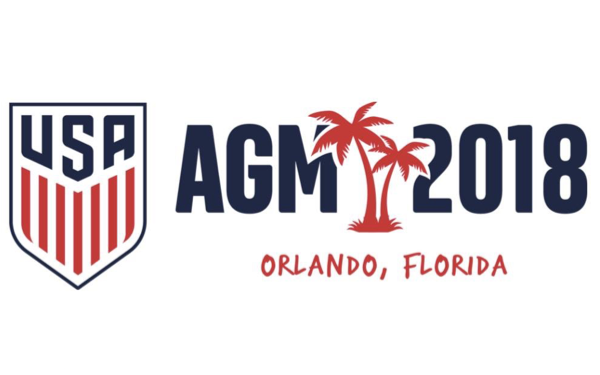 MLS clubs have long-standing ties to many of the state associations (coaching and player programs, marketing initiatives) so MLS owners have been lobbying their local state associations. Carter definitely won't get all of them, but she doesn't need all of them to win the first ballot. Even with half of the MLS youth vote -- and that doesn't include any adult support from a joint state association -- she has 50 percent in sight. The math: 31 percent (all of the big five) + 10 percent (half of the Athlete vote) + 5.5 percent (half of the MLS youth vote) gets her to 46.5. All she then needs to win: a half dozen or so other state associations and a smattering of support from the board of directors, life members and miscellaneous associations. 3 comments about "U.S. Soccer presidential race: Path to victory". Kenneth Barr, February 9, 2018 at 7:54 a.m. While I think I understand your electoral math (I'm lousy at math) I think the institutional vote (MLS/MLS Youth, AYSO, etc. ), the electorate must be mindful that there is a great deal of discontent amongst the rank and file supporters of the game. What may seem logical from past experience may not apply. You areabsolutely right to say no one can really knows the outcome because it's a crazy time for US Soccer. I believe that both Kyle Martino and Eric Wynalda have a sporting chance. That isn't to say Kathy Carter has the shortest odds but it does mean an outsider can pull off an upset. Remember, most political observers, including me, had Hillary Clinton the odds on choice to be the 45th President of the United States. It sure didn't work out that way. Anthony Calabrese replied, February 9, 2018 at 3:27 p.m. I do not think they care about the discontent. Carter wins on the first ballot. In other years i would would have cheered that. She is obviously smart. SUM despite the controversies has been a success. And sports is still in many ways a man’s world. Yet she navigated her way to the top of Soccer marketing. And a woman as head of a major FA would be a great glass ceiling breaking. But I feel we need something of a change especially given the conflicts of interest this election has laid bare. Bob Ashpole, February 9, 2018 at 11:15 a.m. I really don't think which of the candidates wins matters as much as what happens the next day. The change we need is on the sporting side, not the business side. I favor Ahmet Guvener's suggestion of adding a full time Chief Soccer Officer (CSO) counterpart to the CEO to 1) separate soccer management from business management and 2) make the game equally as important as business. You could also call the new position the "Director of Change," because that is where the changes need to come from. The new president and the rest of the board are partime oversight. How come nobody is talking about Ahmet's suggestions? Gans is the one I feel sorry for. He was a lonely opposition candidate running before there was an election because of real problems, not because he was upset with a match result, but because he wanted to help make soccer better.